I have used this product in the past and am glad to see it is still available. Not only is it great for car windows but also for bathroom mirrors. offered to family members and friends seasonally. I will order these item again as they ware out. I bought all the items that I ordered from you to give as Christmas Gifts. Every daughter & granddaughter loved all the different items. They were excited to get busy & try them out. 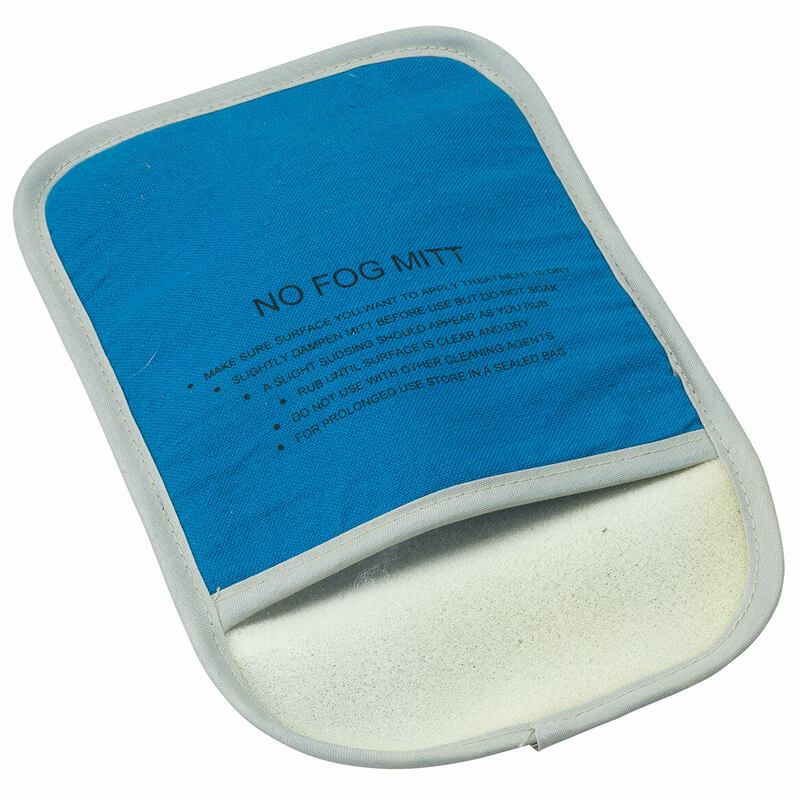 The Fog Mitt will be used for the inside windshield of 4 different cars. The handy Broom & Dustpan has already swept the floors at my daughters apartment & the Long Shoe Horn, well my granddaughter that has MD was so happy to have this help to get her shoes on. We'll all have a Happy New Year with these items that are making our lives a bit easier. You also have a Happy New New! I have had these in my cars before and they really help when the windows fog up. I bought enough for all the kids and grandkids to have one in their cars. This is my second one. It works well and lasts a long time. I keep it on the front seat next to me. I use the no fog mitt on my bathroom mirror. It keeps the mirror from fogging up when the shower is in use. I look forward to trying it on my car windows. the only down side is that it left streaks on the mirror- but no fog! needs improvement on the fogging part but does clean well. Not doing the job. The fog froms on the window and I used more then ones. The No Fog Mitt didn't work. The windows fogged up after I used it. It also left a film and smear on the window. Sounded great in book but it made a mess on the inside of my windshield. I am still trying to get it clean. Order placed in Nov. 12/23 and order has not left the warehouse. Cannot properly review product I haven't received. Very disappointed in delivery service by Miles Kimball. the insides of my home are so full of fog I cannot see out the windows. I'm always having trouble with inside of our windshield, wanted to give to my grandkids. 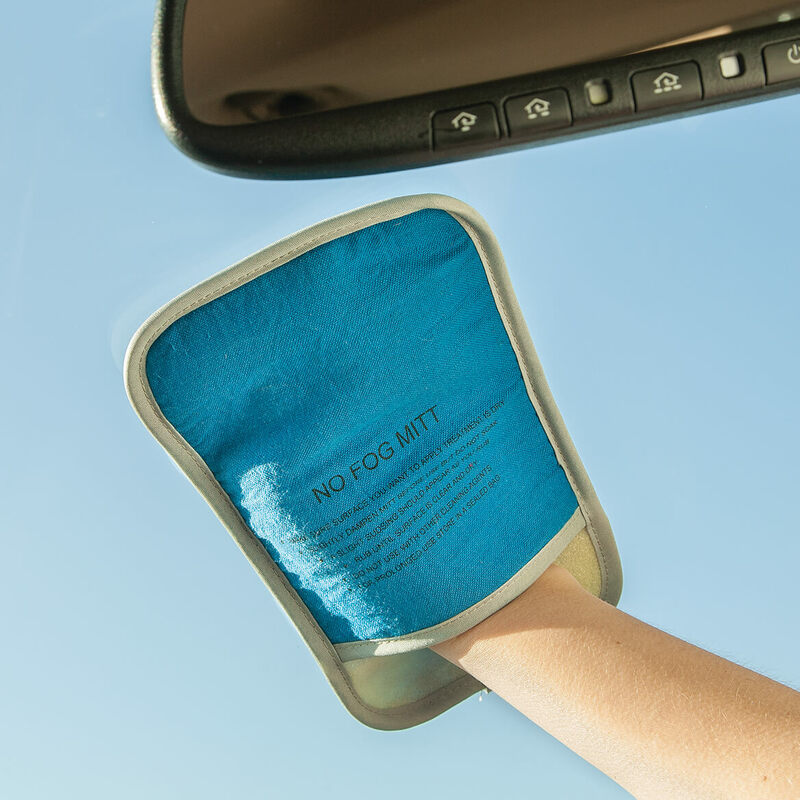 I used this No Fog Mitt years ago and it kept my windshield nice and clear. I live in MN and fog on the inside is a huge problem in the winter time. I bought this before and it really works. I love it. Need flexible mitt to remove fog from windshield, Looks like it will work with the plastic arm of the window washer. My son says that it really works for him. This had good reviews and I wanted to use them as gifts. I thought it would make winter (and summer) driving safer. Leave for work at the last minute - can't wait for the defroster to kick in. I fog up every morning going to work and i hope this works. Often one doesn't realize that the inside front window gradually gets clouded, and running this over it occasionally will clear it. Safely factor. In the fall I get a lot of condensation on my windshield. This will help, and not leave streaks. Looked handy for those foggy mornings! looks like a handy thing to have in the car in winter weather!!! The inside of my vehicle has moisture issues, as well as the inside of the trunk. Going to try this on the bathroom mirrors. My windows are very foggy and this should help out a lot. It really works. I need one for my husband's car as I already have one in mine. Because I've had one before and it works! Good for household use as well. Fog free windshield would be great as I don't have a garage to park in.